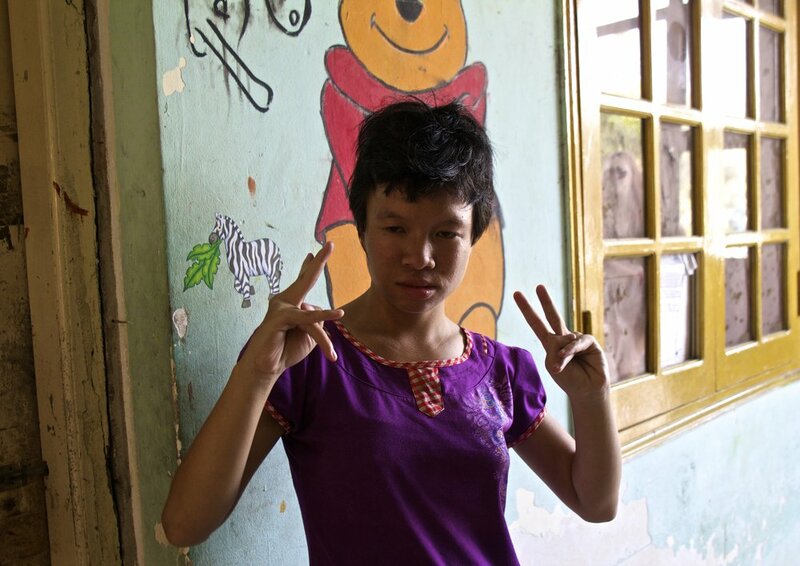 During one of my rainy days in Sa Pa, one of the hostel workers told me about an organization that had just been initiated that allowed foreigners the chance to have a question and answer session with former Viet Cong soldiers, and interact with children who were growing up with disabilities caused by Agent Orange. I was beyond excited to hear that such an organization existed. I had been looking for something like this for a long time, but had pretty much given up hope. I figured that the closest I'd ever get to that was the time I had had an impromptu dinner with a Viet Cong Veteran. That was pretty awesome, but this... this was going to be the real deal. The organization is called Take Time, and it is very new. It had only really started a couple of weeks ago when I was told about it. So I went on one of these outings the very next week. These outings are run out of Hanoi Backpacker’s Hostel (the original) every Wednesday and Saturday at 1:30pm. The way it works is that they take a bus full of whoever wants to go out the boonies of Hanoi to a place called Friendship Village, which is coincidentally also the name of my grandparents’ retirement home in Ohio. 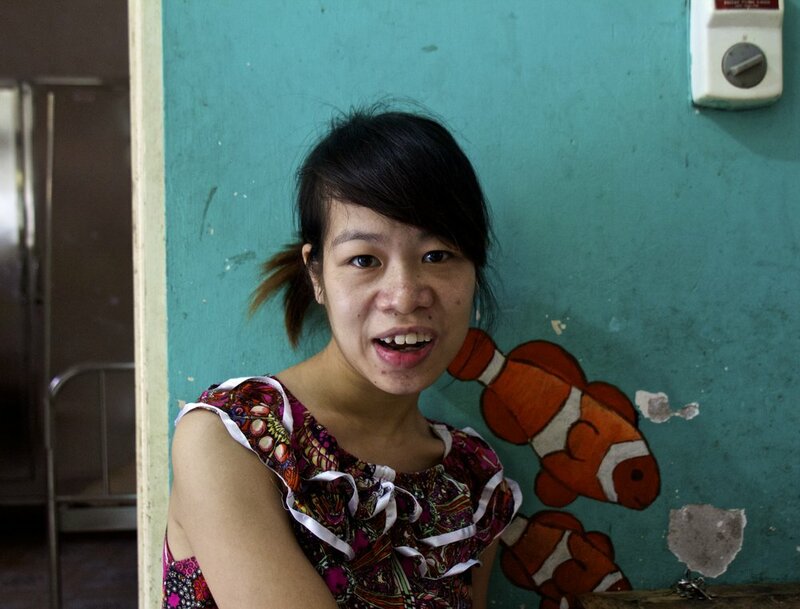 Friendship Village is sort a like a boarding school / group home for children with Agent Orange-caused disabilities. The Viet Cong is the name of the North Vietnamese soldiers that fought against the U.S. during the Vietnam War. Shame on you if you’re American and didn’t know that. Again, shame on you if you're American and don't know this. Cooked up in the dungeons of Monsanto and Dow Chemical, Agent Orange is a chemical that the U.S. used against Vietnam during the war. Between 1962 and 1971 the U.S. dropped about 20 million gallons of Agent Orange on the Vietnamese countryside. The aim was to thin out the foliage of Vietnam’s dense rainforests so that fighter planes would be able to see their targets during airstrikes more clearly. It did that, but it also did a lot of other, unanticipated bad stuff. Anybody on the ground where it was being dropped (including U.S. soldiers) was exposed to this chemical. Many people on the ground were affected immediately (in some seriously disturbing ways), but most of them were okay in the short term. The bigger issue is what it did to those people’s children, and grandchildren. 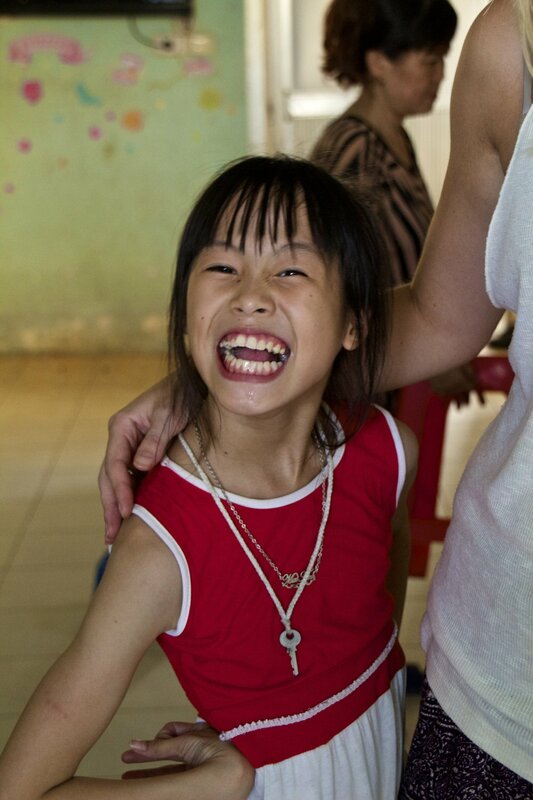 Agent Orange still causes horrendous disabilities and deformities in children being born in Vietnam today. Mike, our fearless leader (founder of Take Time), started our excursion by giving us a tour of Friendship Village's facilities. However, halfway through he got a text saying that 2 of the former Viet Cong that were there that day had been spies. He got pretty excited and rushed us through the rest of it so we could get there as fast as possible. I was excited too, so I was fine with that. There were 4 Viet Cong veterans that sat in large comfortable chairs at the front of the room. We all sat in blue plastic chairs facing them. Standing in the middle was a translator for us. First, each of them was introduced to us. I’d love to tell you that I remember all of their names, but I don’t. Vietnamese is hard, man. But I do remember their ranks, so that is how I will be identifying them, when needed. What follows is a transcript of our interview with these men. I took the liberty of changing the order of the questions a bit so they are grouped by subject matter. Trust me, it makes it easier to understand. I have also corrected the more glaring grammatical errors (English is a second language here, after all). I’m just going to be honest here… not all of their answers seemed to be as raw as I would have wanted. I didn't feel like their collective testimony was quite as uncensored as I'd hoped for. There was one man in particular – the lieutenant – who did his best to answer every question that was asked. He wouldn't let anybody else get a word in. His long-winded, generalized, calculated answers seemed more like propaganda than honesty. I wondered if maybe the others remained silent during his answers because this man had out-ranked them. We all wanted to hear more from the other 3 veterans, but to stop this man from talking would have been extremely disrespectful, so I’ll just give his testimonies a “**”. That way you know when to put up your bias filter. Many of these questions were sort of answered by committee, so I have only made a note of who exactly the speaker was in places where that information was important. I am American. My father fought in the war against you, and may have even shot at you. How do you feel about me as an American? And how do you feel about America? At the time, America and Vietnam did not understand each other, but now that there is peace, the 2 governments have been talking to each other again. They have shaken hands with the goal of both sides developing as nations and as friends. You have to put the past behind you in order to have a brighter future. Would my father be invited into you home? Maybe to drink wine? (All laughed—“Okay, okay!”) We are very willing to welcome your father into our homes. We are peaceful people that, like everyone else, just want happy and fulfilling lives. So the past doesn’t matter. When you were fighting against the Americans, did you consider them to be a strong enemy? You guys were very strong. If the American army was so strong, why did you win? We all fought in the south and we all recognized the firepower and transportation that the Americans had. We didn’t have as much firepower or transportation as the Americans had at that time, but we had a very clear purpose, that we felt was righteous. We fought for the freedom of our country and of our people. So we did not only win in combat, but also politically. The government was trying to fight a political war, and won, because of these reasons. We were supported by many peace-loving countries all around the world. Right now the government has a lot of policies that help us forgive the past and work towards the future. Right now, between Vietnam and America, we have a lot of policies for cooperation and trade that demonstrate the handshaking gesture between the 2 countries. (Laughing) So right now Vietnam and America are okay. I consider you men heroes. In America, soldiers returning home from the war were not (considered heroes). When you returned home did you receive a hero’s welcome? When we came back from the war everyone cheered for us, and gave to us whatever they had. (Now for the 2 spies) What sort of information did you gather during the war? [Spy #1] My job was to infiltrate the enemy’s area. There were a lot of barbed wire fences, so it was very difficult for me to get over the fences. I received orders from the leaders to investigate to see how many soldiers the enemy had, and how many guns they had. In order to investigate, I had to tear the barbed wire (big hand gestures to show how he used to tear it). Usually I had to tear it by hand. I would tear one row, and then I would have to check the ground ahead of me to see if there were any mines. If there were none, I would continue on to tear the next barbed wire fence. Usually there were about 7 rolls. Then I would infiltrate the station. There would be canons, about 45 meters long, and I would put a grenade into the canon, so it would explode (makes a big “BOOM” sound in his explanation for effect). When I was investigating, and tearing the barbed wires, that was to get in. To get out I had to put it all back together again so that no one would notice. Why/how did you become a spy? [Spy #1] I was assigned. I was assigned to be a spy because my leaders saw that I was very healthy. For example, a spy should not have any lung problems because if they are in the enemy’s area, you can’t cough. If you cough they will hear you. You also need to have good eyesight and a sharp mind. You need to be a quick decision maker. (To spy #2) You said that you were held in Phu Quoc Prison, and I know that a lot of bad things happened there—that people were tortured. Can you tell us about your experience there? Were you treated well? Or were you also tortured? [Spy #2] I was fighting at Long Tan battlefield and my army was surrounded. I was injured so I couldn’t escape and I was captured. I was driven to Phu Quoc Island and it was not until the Paris Peace Accords that I was driven back to the mainland. When I was in prison I was only 21 years old. I was very young and I had only just joined the army so I wasn’t tortured too much… but a lot of people that were in the government or who had been in communist organizations for a long time were tortured in very bad ways. In this prison there were 40,000 prisoners, and I didn’t know much about anybody else, but speaking only for myself, I was not tortured too much. Because I was so young – a 21-year-old who had just become a soldier. Note: If you didn't know, Phu Quoc Prison was like the equivalent of Guantanamo Bay for the U.S. during the Vietnam War. What happened here at the hand of American soldiers was horrible. And this guy probably witnessed all of it. Google it if you don't believe me. In Europe, WWII lasted for about 6 years. For Europeans, 6 years was quite a long time. How did you managed to sustain such a long war? 6 years is not long, but it is very long in war-time. Between 2 sides, there is going to be a winner and a loser. When you lose, you die. When you win, you live. You guys are all very young, so you might not know about the war between Vietnam and America. At that time, the leaders divided the Viet Cong army into lots of smaller groups, and we supported each other. We (the North Vietnamese) would go south to fight during the dry season and then, kind of, retreat during the rainy season to do checks of everything and regroup. How we got through this 6-year period was, first, was through the support of the other units. When you are assigned a position, you have the responsibility to do it well, and you have to train other people, and then you retreat. The second reason was our purpose, which was to fight for our freedom and bring happiness back to the people. The Vietnamese army was not just one army, but was composed of a lot of smaller units. Whenever we are in a fight, we support each other excitedly in order to win. All the units would talk to makes decisions about their strategy, firearms, and where to fight, but the ultimate leadership came from the government (in Hanoi). So we won thanks to the leadership of the government. On the 30th of April, 1975, all the units from all around the country were determined to fight to win back their freedom. That was the date on which the government ordered all of the units to attack, and that was when we won, and got back the people’s freedom. Can you tell us, specifically, how you have been effected by Agent Orange? And how your families have been affected by Agent Orange? We have all been affected by Agent Orange in some way, but it is not just us. The American soldiers who were fighting on the ground in Vietnam are also affected. When we got back from the war, Agent Orange affected people to different degrees. Some people were okay, but their children had disabilities. Some people had children who were fine when they were born, but then developed disabilities as they got older. Can some of you other men (not the lieutenant), tell us, specifically, how Agent Orange has affected you and your families? We fought the Americans in Tay Ninh, which is a Province in the center of Vietnam, starting from 1969. I could see the American planes dumping the chemicals down and I witnessed how the plants and the livestock died. Some of my colleagues were only affected mildly, but the scientists told us that the effects would last for generations – to our children, to our grand children, to our great grandchildren, it’s going to be a very long time. Have any of you OTHER men had any disabled children, grand children, or great grandchildren because of Agent Orange? 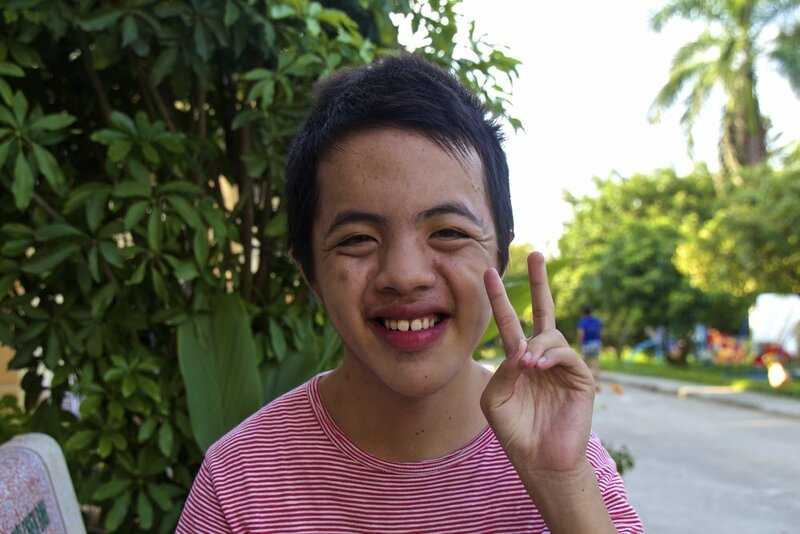 Some of my friends’ fingers are kind of shrunken back, and their children’s eyes bulge out, and their faces are deformed, and some people cannot walk on their own feet. But now we have peace so Vietnam and America have been trying to fix these problems together. The past is long gone and now Vietnam has shaken hands with other countries so that we can look for a solution instead of dwelling on the past. We have all heard of Ho Chi Minh, but could one of you tell us why he is such a great man? Please, somebody new this time. Ho Chi Minh was abroad for the sake of his country since he was 15 years old, so that he could reach France and learn more about communism. He helped Vietnam fight the French, the Japanese, and the Americans for the freedom of the people, and also he has a very great mind. Ho Chi Minh was born in a family that supported communism. At the time, Vietnam was a French colony and people did not have the freedom that wanted, so that is why he decided to go abroad – in order to find a path to help his people. So he went to France. He was the leader fighting back the French and the Japanese with support from Russia and China. He returned to Vietnam in 1941. He went to the North of Vietnam in order to gather all the peace loving people and establish an organization to fight for freedom for Vietnam. He established many patriotic organizations both here and abroad and he trained and educated many younger generations of Vietnamese people. He succeeded when he fought in the Battle of Dien Bien Phu. Do you any of you know that fight? He beat the French in that famous fight. Ho Chi Minh was a very awesome leader and he has always been admired, even to this day. He will always be loved and missed by his people. He was a great man to Vietnam to have helped and educated the people, and to have led them to freedom. Thank you. From before the war began to after it ended, how have your opinions changed? Due to the circumstances, there were 2 sides to the Vietnamese people: the north and the south. In the battlefield there is only whether you win or you lose. Both sides want to win, and to win we need a plan. Because both sides wanted to win there were boundaries between the north Vietnamese people and the south Vietnamese people, but after the war there was no such boundary. And for me and my army, we have no more resentment for the South Vietnamese people. After the war, what did you do for work? Was it hard to get back into normal life? After the war ended, people who were injured received benefits packages from the government, and people who were not injured were encouraged to go back to their home town to start producing and get the country’s economy back on track. A lot of people decided to stay in the army but a lot of other people decided to change direction and start working in other areas. Some people went back to school to study in order to get government positions. How were your families affected by the war? [Spy #1] I had 3 children. 2 died in the war, so my family and I had a hard time adjusting once there was peace. How do you feel about foundations like this one? Do they help you and your family? I hope that all of you will go back to your countries and talk your family and friends about the difficult issues faced by Vietnamese families. I hope that you will support us in any way you can, because we will really appreciate that. The support will go to buildings like this, so that they can be air conditioned and etc. Did any of you have any near death experiences? In the battlefield there is a lot of death. The injured people will usually be transferred back home from the south to the north. If they are only lightly injured then they will be sent back to their hometown to receive benefit packages from the government. For example, if they were educated they would be supported to go back to college. If they weren’t educated, they would be supported through vocational training so that they could work and support the country economically. [Spy #2] I was injured twice. The second time was how I got captured. They were both in my left arm. There was an explosion in the air while I was waving my arm and the shrapnel hit me. [Spy #1] I was injured here (pointing to his left shoulder) and here (pointing to his left ankle). You mean in hand-to-hand combat? [Spy #1] No, I was shot. Over my 6 years I was shot many times. I was once even grazed the top of my head, but all those other times were not as serious as when I was shot here and here (points again to his shoulder and ankle). In all those years, I was shot a total of 5 times. What do you remember most about the war? Do you still think about it? I have a lot of memories. Still today, I have pictures in my head of guns and planes and bombs. Still now, my friends and I think back to those times and still feel the fear that they felt in the war. We think now, that if we had to return to the battlefield again, that we wouldn’t be able to do it. But now we have peace, so we hope that Vietnam’s relationship with other countries will stay that way. 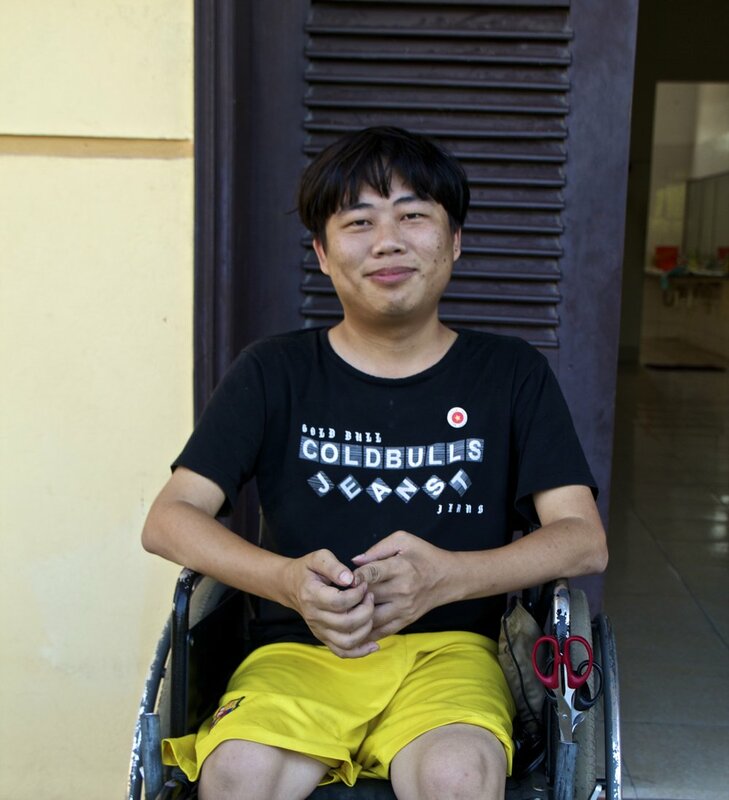 And we hope that organizations for the Agent Orange victims, like Friendship Village, can receive support from all over the world. Last question. Please, each of you, answer it. In your life today, what makes you happy day-to-day? [Spy #2] Peace. Peace for me, for my family, for my friends, for everyone in Vietnam, for everyone in the world. [Spy #1] Being able to support my family. [Staff Sargent] Not being at war. [Lieutenant] I’m happy because of peace and the cooperation between countries and people. I’m happy because all of you in this room will go home and tell your friends and family how peaceful the Vietnamese people are. We would appreciate it if you guys could help support organizations like this one so that veterans, victims, and their families can have better lives. (Laughing) Not one of you mentioned your wife! Regarding our families, we deliberately left them out because it is so painful for us. I had 3 children and 2 died. We don’t want to bring back those painful memories, especially to all you young people here. I still had one question that I wanted to ask. "Were any of you involved in the capturing of American soldiers? How were those solider treated? Could you tell us about the social dynamics between the Vietnamese and the American POWs?" Unfortunately, there was no more time. These questions were done by committee, and I used my only turn on the torture question. So we shook each of their hands and thanked them for their time. Then we headed out to the grounds of Friendship Village to interact with the Agent Orange children for a while. So, let me tell you a bit more about Friendship Village. 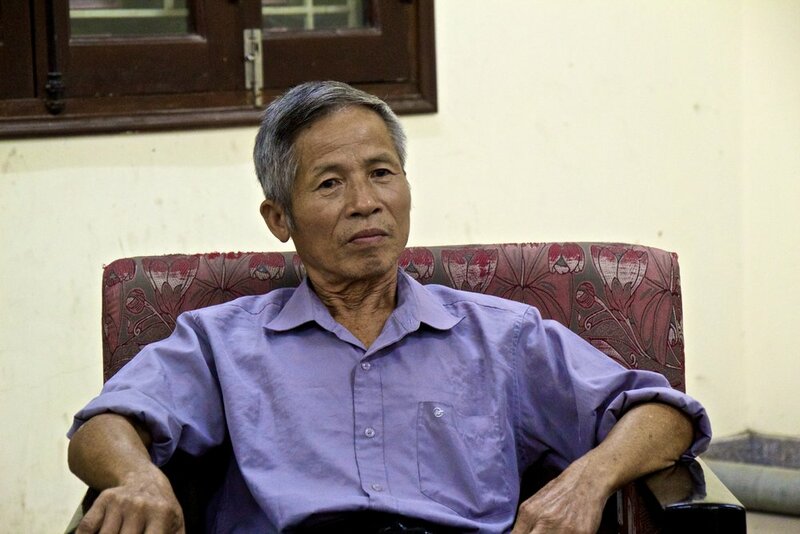 Friendship Village was founded by an American veteran of the Vietnam War named George Mizo. Mizo, apparently, has one of those Vietnam War horror stories you hear about, where he was the sole survivor of a Viet Cong attack. After dozens of his friends and fellow soldiers were slaughtered in the jungle, he alone, bloody and injured, emerged from the forest. When the American government heard his story, they brought him back home to parade him around like a show pony and turn him into spokesperson for the war. It was almost exactly like that movie, “Flags Of Our Fathers”. But after everything Mizo had been through, he ended up becoming one of the leading spokespeople for the war’s opposition. It took him over a decade, but eventually he was able to open a home for the victims of Agent Orange in Vietnam: Friendship Village. 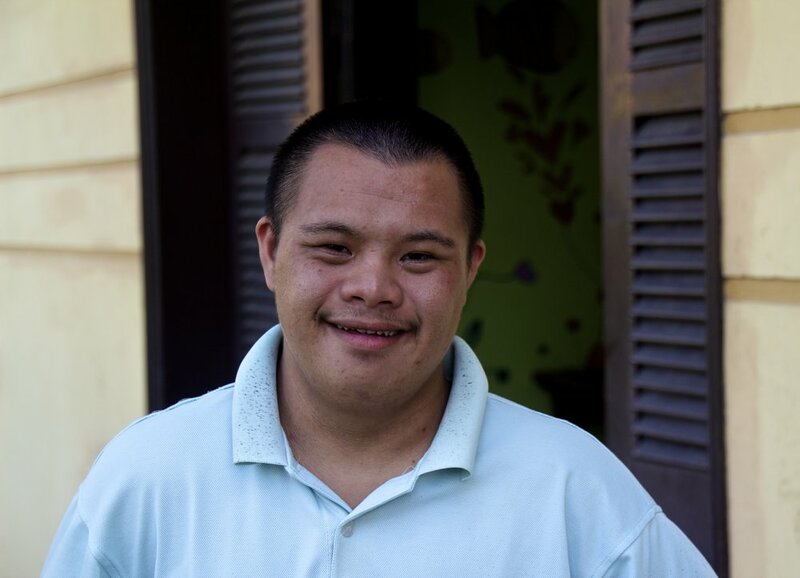 Mike, the founder of Take Time, told us during our tour that, while Friendship Village might not look like much to us, it was a “palace” compared to other homes for Agent Orange victims around Vietnam. It really did seem like a great place. All the children clearly loved their caretakers (and Mike), and they all seemed to be pretty genuinely happy to talk/play with us (depending on their age). I think it’s definitely a place that every American should visit if they ever find themselves in Hanoi. P.S. The timing of this post is a bit fortuitous, because yesterday (August 10th) was Agent Orange Day. That is the anniversary of the day when the U.S. first starting using Agent Orange in Vietnam. Yesterday marks 54 years to the day.